This year has been declared the “Year of the Artisan and Skills-Based Education” by government, to promote the diplomas and courses offered by Further Education and Training (FET) colleges in South Africa. This month we will be looking at what it means to become a plumber and what you will have to study to qualify as one. Plumbers fix and replace damaged pipework. They also install new bathrooms, taps and sinks at large construction sites, private homes or in large buildings such as offices, schools or public buildings. Their projects can either consist of smaller tasks or larger assignments that might take several days or weeks to complete. As a plumber in South Africa, you have a variety of job opportunities including working for companies that operate in the construction industry, or specific agencies that specialise in contracting out plumbers to private households or companies. You could also become an independent contractor and work for yourself. You have a choice of either becoming an independent contractor or you can work on construction sites. Plumbers require specialized training in order to operate as a qualified artisan to ensure you comply with local and industry laws and standards. This is moderated and monitored by the National Building Regulators. You can work as a plumbing assistant and do a two year apprenticeship. 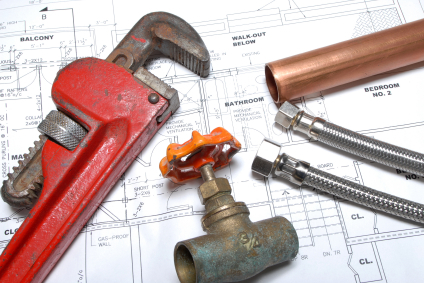 After your two years, you will be eligible to write your trade test certificate in plumbing. You can complete a two year learnership at a Construction Education & Training Authority (CETA) accredited training college or school that consists of a variety of training modules. After completing your two year learnership, you will be eligible to write your trade test certificate in plumbing. If you choose to do the two year apprenticeship, you can always do a short course to ensure that you have the practical knowledge required to be able to pass your trade test. Whether you study a short course or a full time programme, make sure your college or school is CETA accredited. There is a complete list of schools and colleges listed on CETA website. These schools and colleges adhere to the CETA standards and comply with their principles to ensure the best standards in plumbing. It might also be a good idea to talk to a plumber to find out how they enjoy their day-to-day activities and to gauge whether it is something that you would like to do.